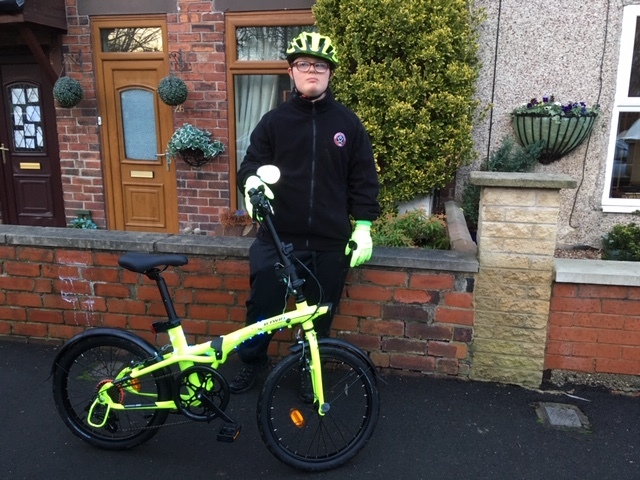 Jordan has a smart new bike for the New Year. 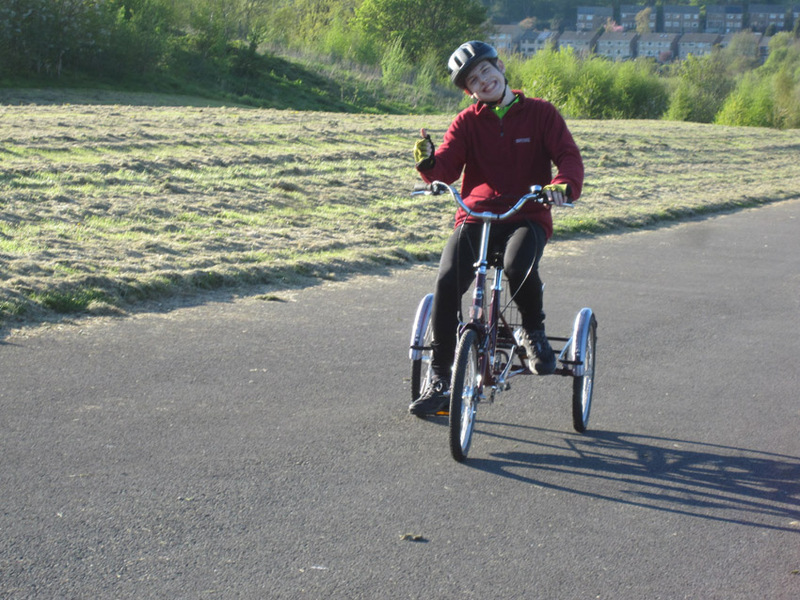 Intrepid Joe rides in the ice and snow! 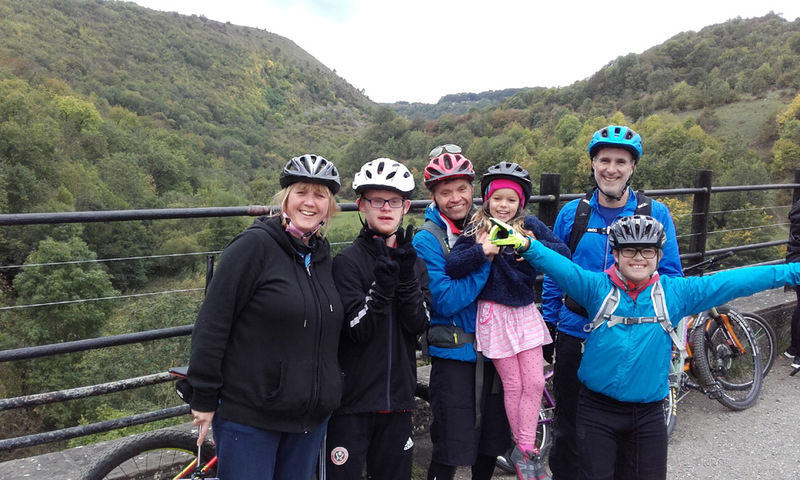 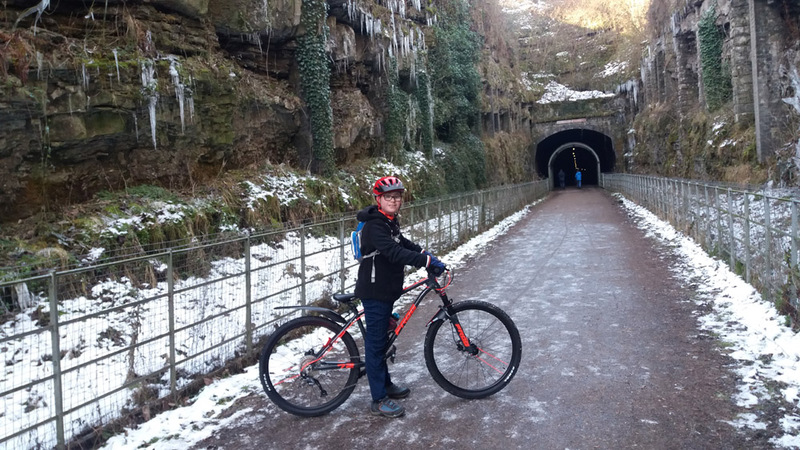 Joe only learnt to ride a bike in September, but already he is on the Monsal Trail among the icicles. 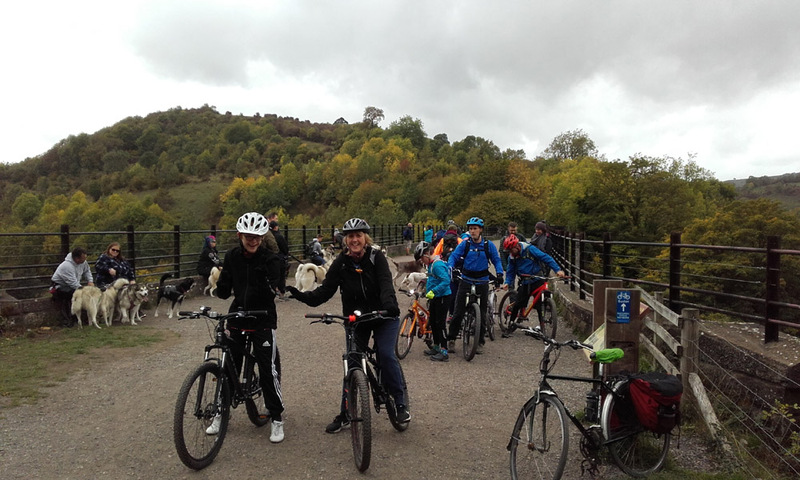 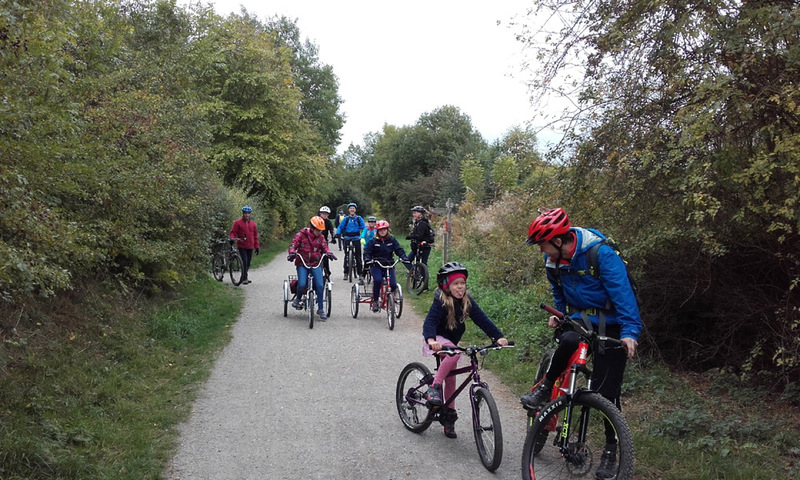 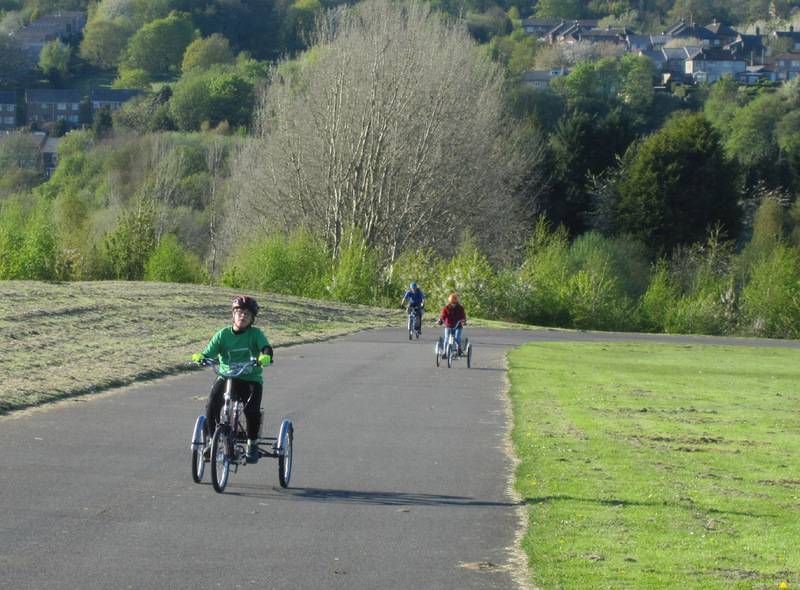 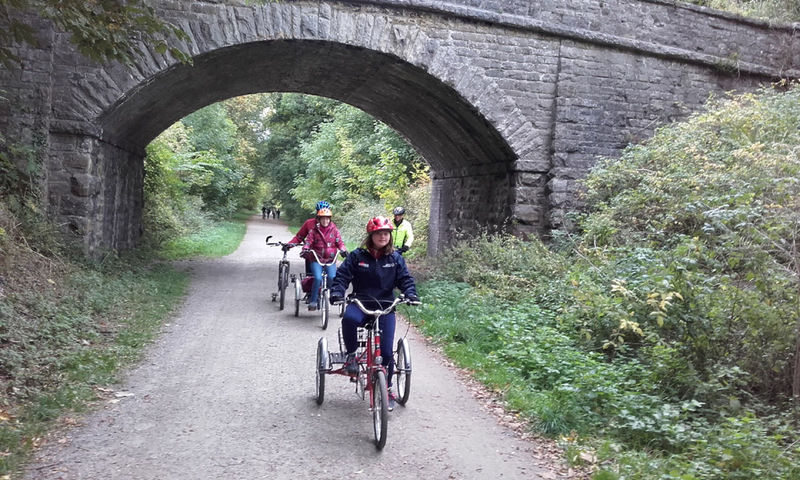 For our last meet this year we went on the Monsal Trail for a trail ride! 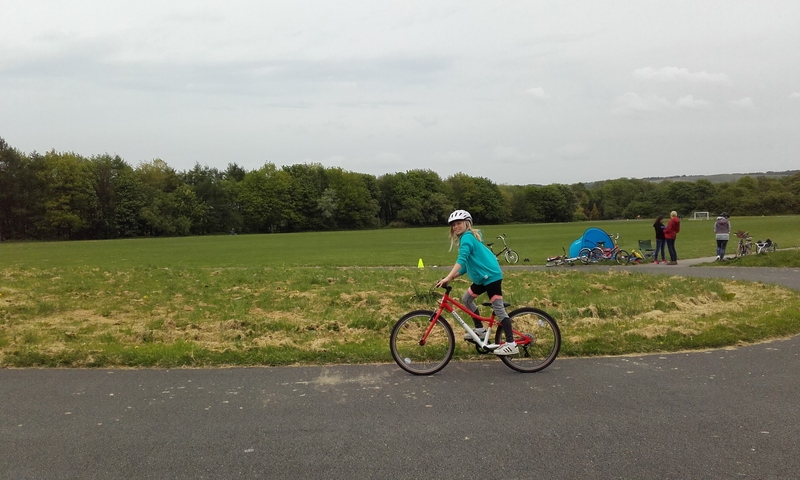 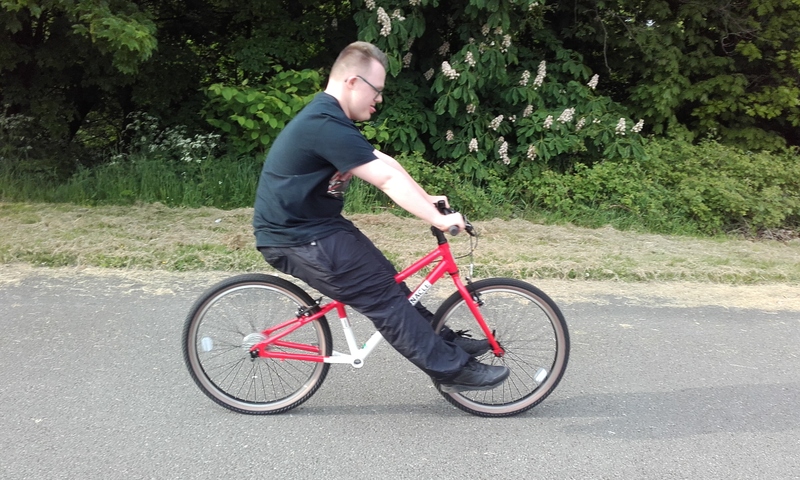 Jordan pedals on two wheels for the first time!! 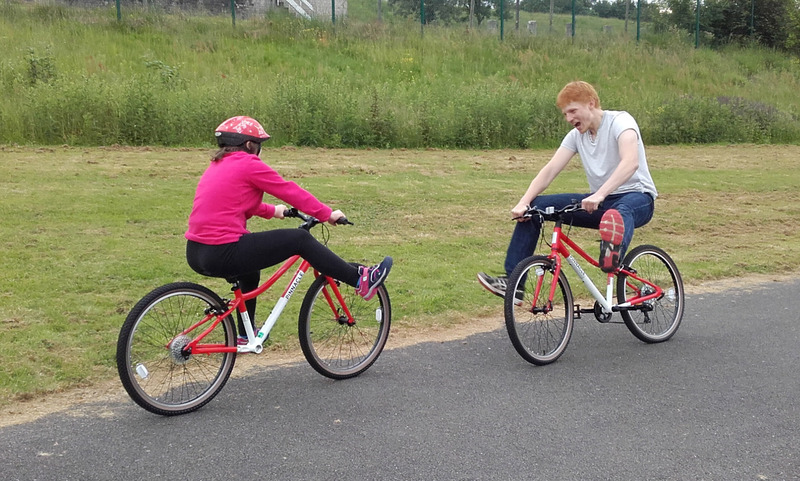 We welcomed Rob Grace from British Cycling who demonstrated some training exercises. 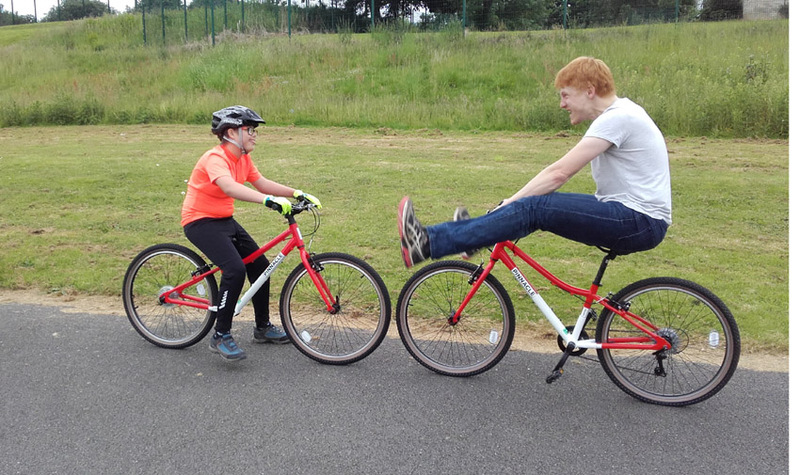 Jess tries the backwards kick as Rob Mace looks on. 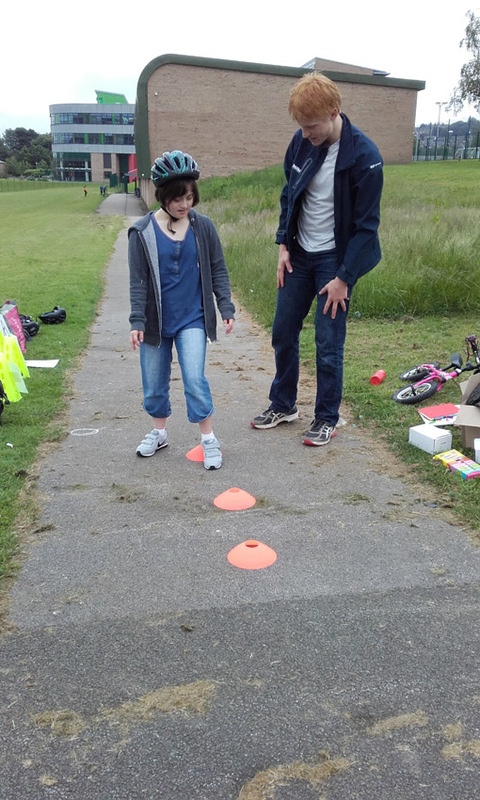 An enthusiastic Rob Mace demostrates the stationary balance challenge. 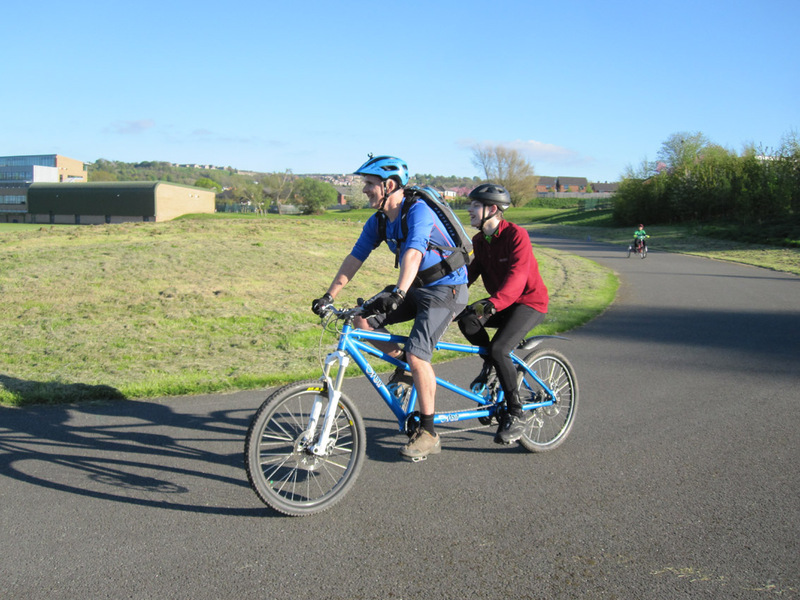 Jenny and Joe put it into practice. 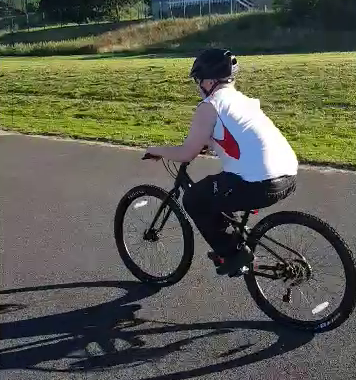 Having fun side by side. 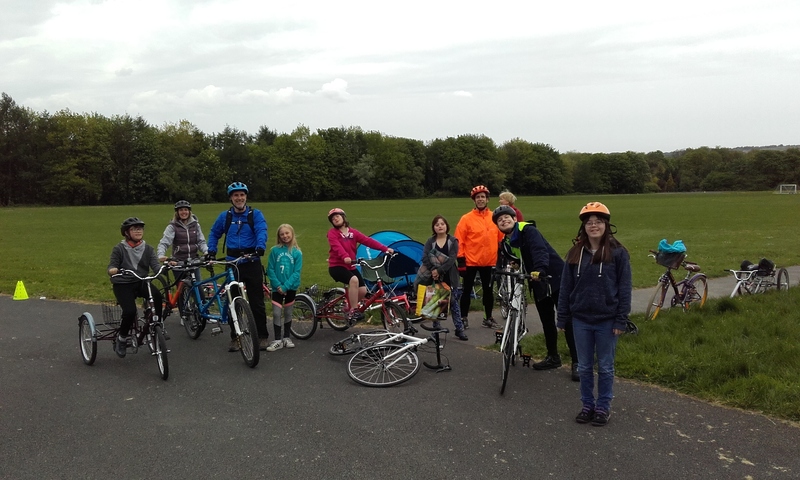 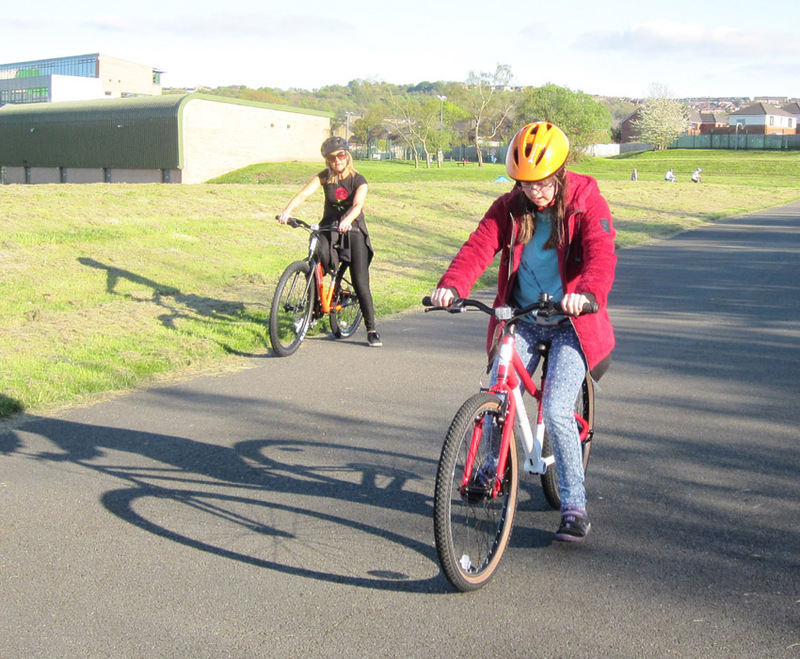 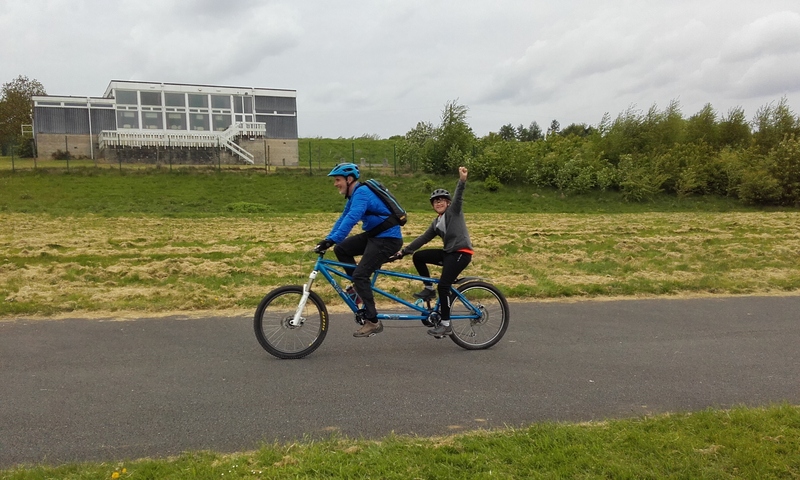 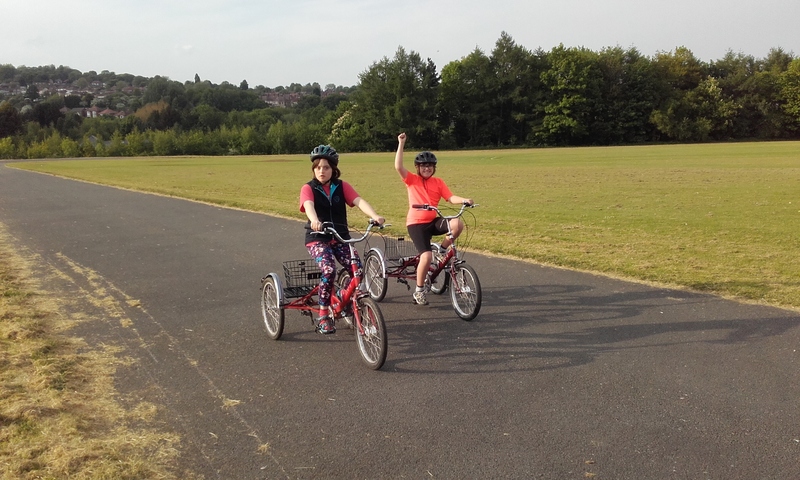 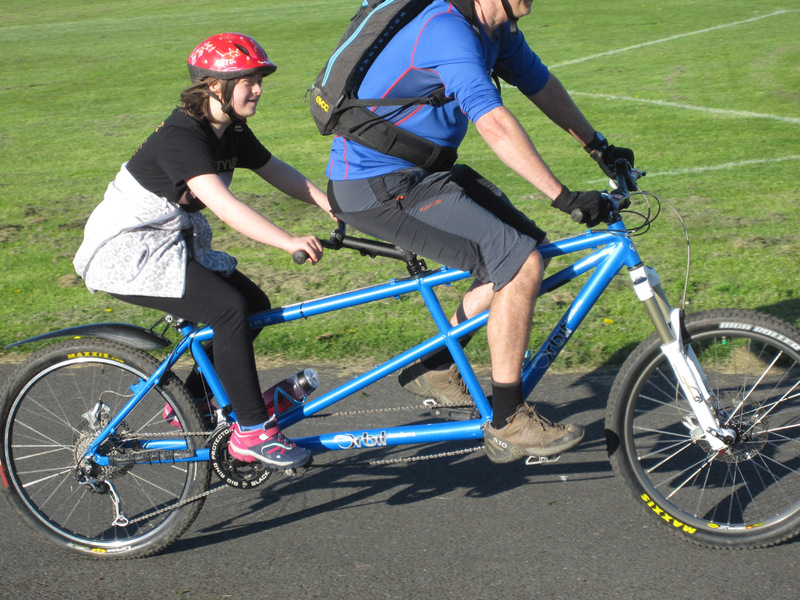 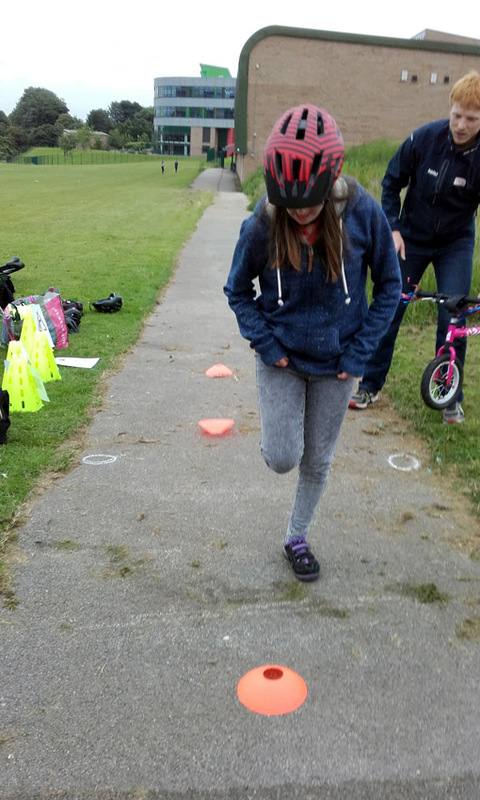 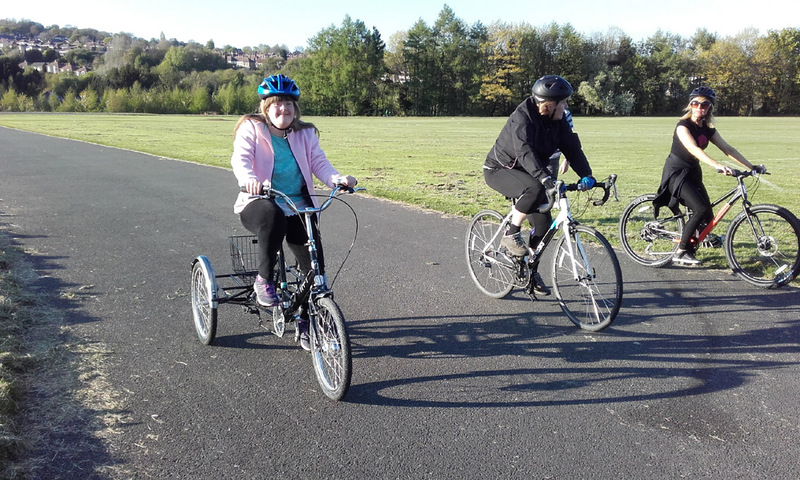 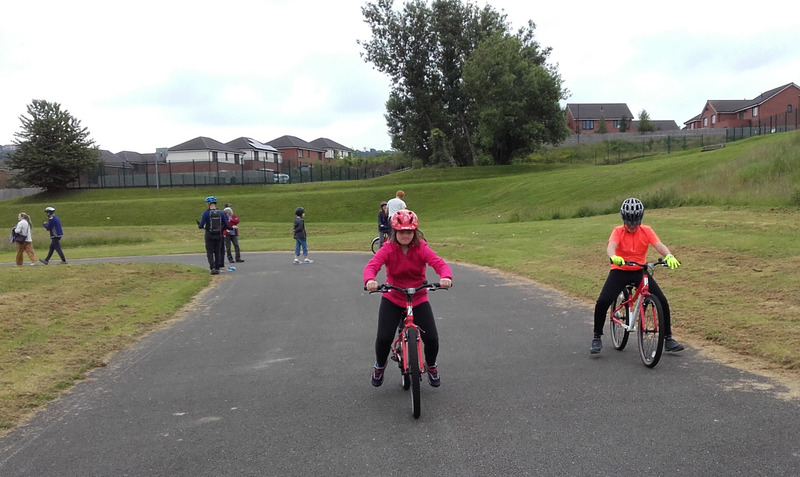 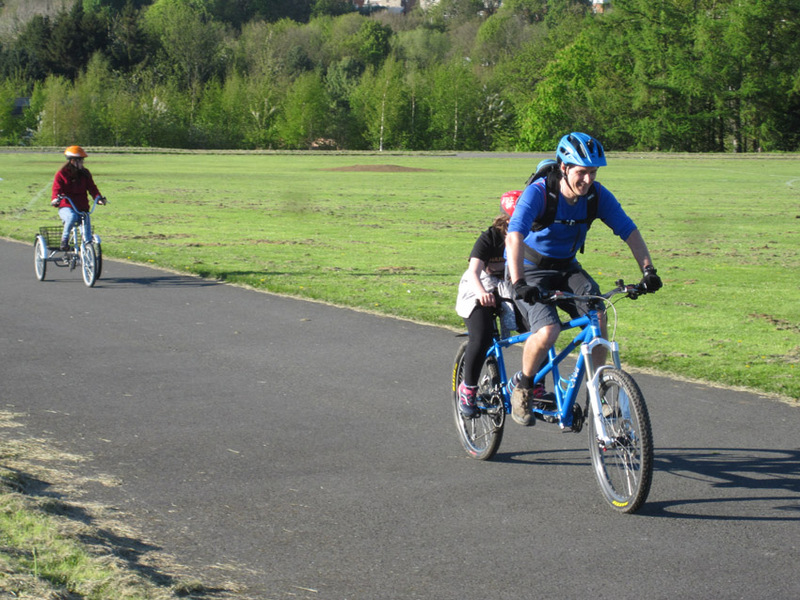 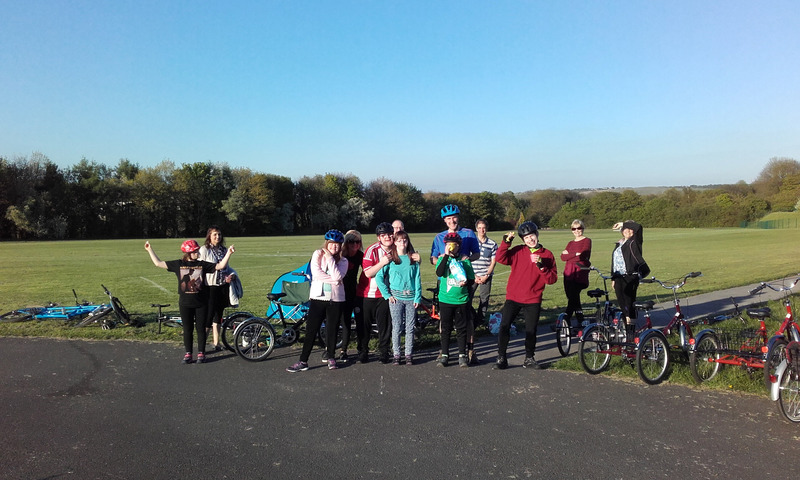 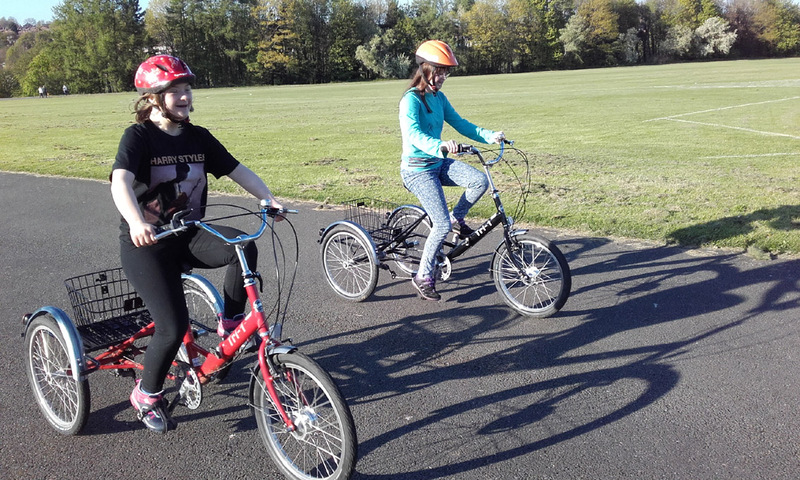 Our new cycling equipment arrived yesterday and we are trying it out! 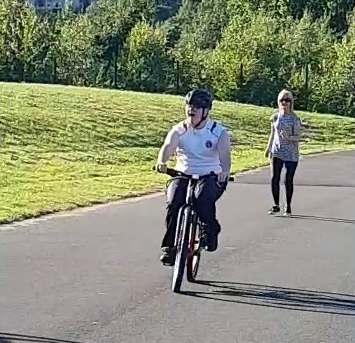 Joe rides up the hill. 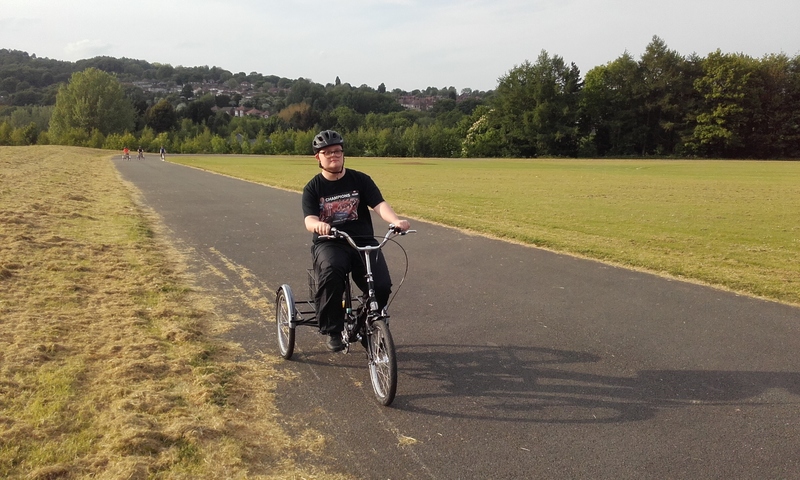 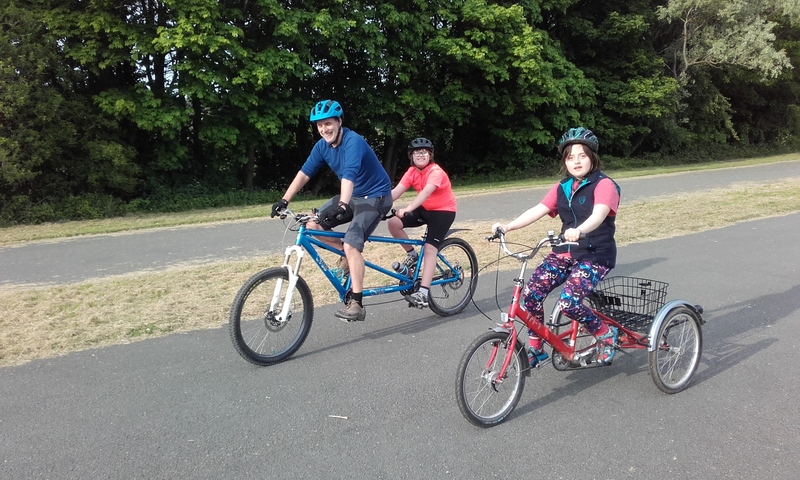 Stephen tries out one of our new trikes! 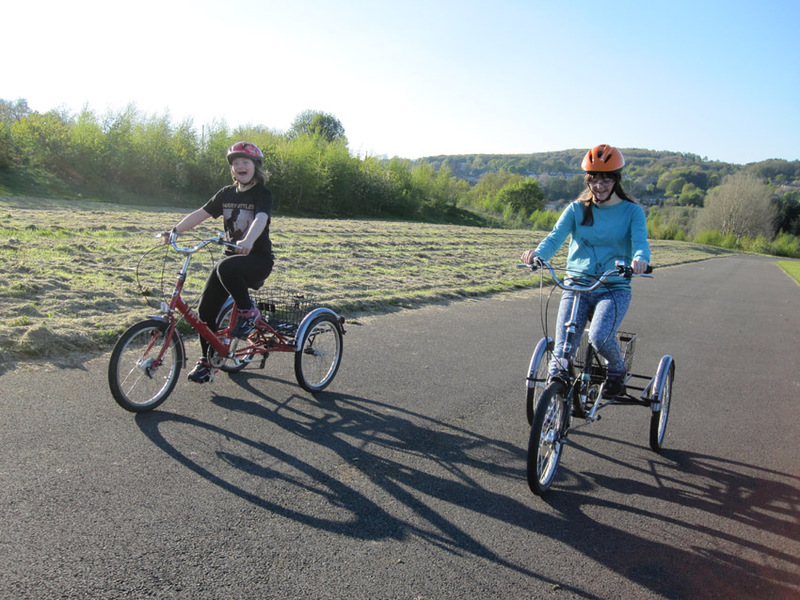 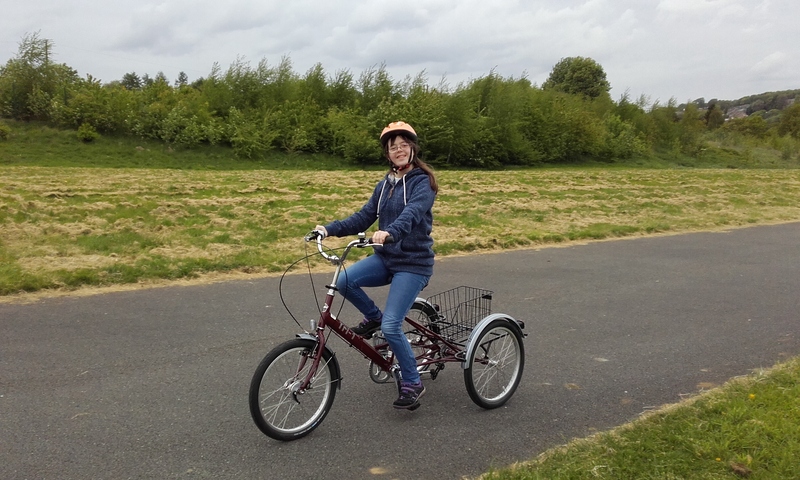 Rebecca tries out another trike. 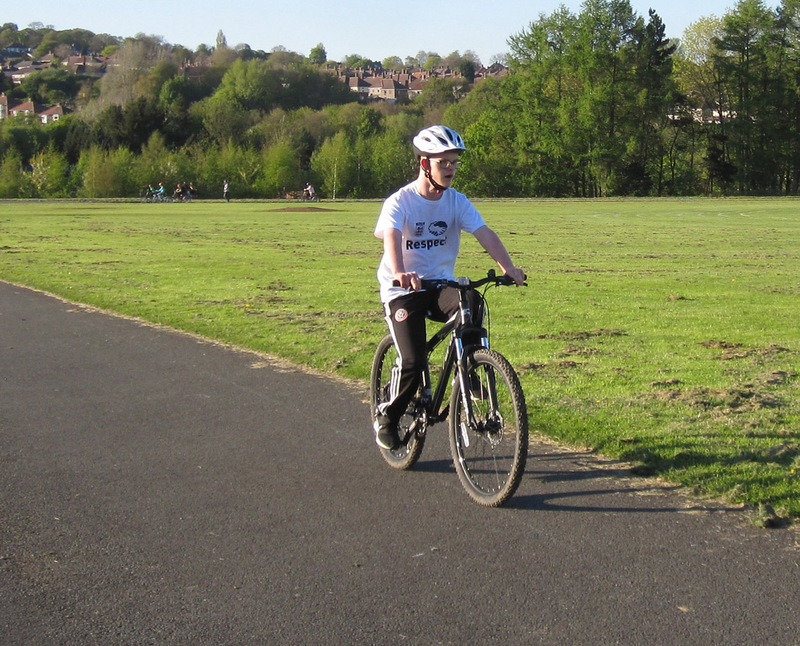 Jess balance training on one of our new machines. 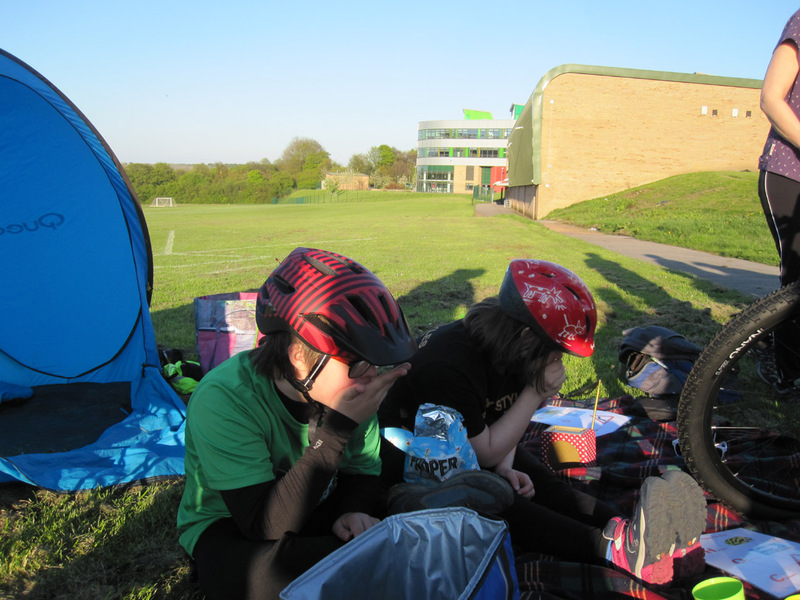 A good time was had in the sunshine!